The best the french cuisine has to offer! 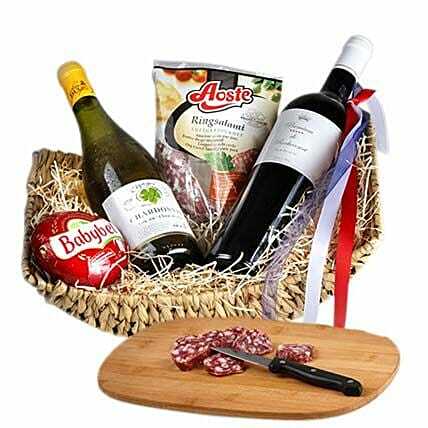 1 bottle of french white wine 0,75l, 1 bottle of red wine 0,75l Rochecourt, one package of french cheese 200g, and 1 french salami Aoste 250g. The delivery takes place in a break-proof box.